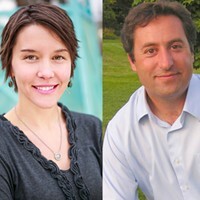 "Publicly disclosing our feelings...seems appropriate to acknowledge, given that we are elected officials"
Salt Lake City Council members Erin Mendenhall and Kyle LaMalfa released separate statements to The Salt Lake Tribune last week disclosing that they are in a relationship. In the story, Mendenhall, who is married, said she made the decision to reveal her relationship with LaMalfa to protect against what she called an "ongoing invasion of privacy." The Tribune story was published the day after Thanksgiving—two weeks after City Weekly first wrote of the council members' affair. The council members' statements were also posted to their respective campaign websites. Both say that the relationship will not negatively impact their jobs at City Hall, and that it has not done so in the past. Neither says when the relationship began, though Mendenhall wrote that she has been in the process of separating from her husband for the past "several months." In his statement, LaMalfa said meeting Mendenhall caused his life to take an "unexpected turn." "Recently, myself and fellow council member Erin Mendenhall developed a fondness for one another," LaMalfa's statement says. "Publicly disclosing our feelings is not required by law but seems appropriate to acknowledge, given that we are elected officials." Mayor Ralph Becker, who on Monday announced his intent to run for a third term, declined to comment on the situation. District 4 councilman Luke Garrott, the council's vice chair, says LaMalfa and Mendenhall disclosed to the council that they were involved in a relationship before City Weekly's initial story—which he says was appropriate and appreciated. Garrott, who is running against Becker in the mayoral race, says that for workplace morale, it's always better to have information like a co-worker relationship out in the open rather than concealed. "I think they did the right thing there," Garrott says of their disclosure to fellow council members. "Because it will affect the work environment one way or another. If you're keeping it from people, that would be weird." City Weekly's story relied on multiple anonymous sources who disclosed and confirmed the affair. The story touched off a wave of comments on social media and comment boards proclaiming that the situation wasn't newsworthy and accusing the paper of erring in its decision to shed light on a private matter between two public officials. Even the initial headline of the Tribune article was the ambiguous "Are romantic ties on Salt Lake City Council entanglements?" 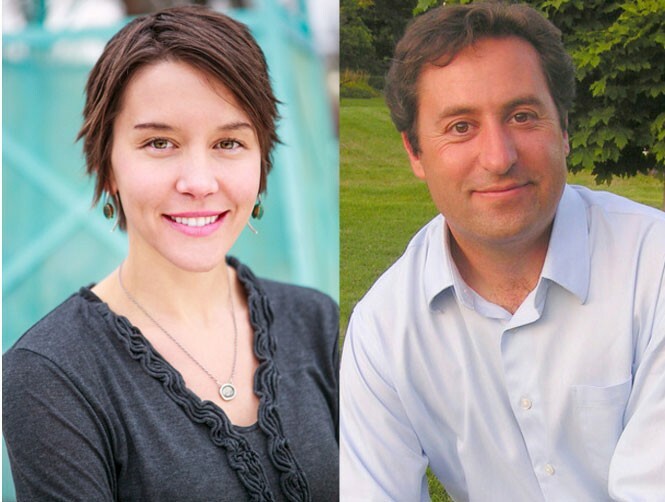 before being updated to "Romantic relationship between Salt Lake City Council members raises concerns," an echo of City Weekly's initial article. Interviews with former politicians, government employees and university professors make it clear that the relationships harbored by elected officials are of interest to the people, districts and cities they represent. And in this case, the relationship is occurring between two members of a seven-member council charged with directing the course of the city's future. Every Tuesday evening, they sit behind the dais at city hall and cast votes that impact every single citizen of Salt Lake City. They take trips—on the taxpayer's dime—to conventions and other meetings at which they are entrusted to represent the city. And the council chair and vice chair—elected at the beginning of the year—set the agendas for council meetings, a function that could make the difference between a council member's project receiving timely debate or being punted from discussion and not heard at all. Mendenhall, who's in her first year on the council, represents the city's 5th District. She has championed efforts to clean the Salt Lake Valley's polluted air. LaMalfa, who represents the 2nd District, has advocated for redevelopment on the city's west side. He has also spearheaded efforts to reinvigorate that community through events, like a farmers market. In September, Mendenhall and LaMalfa traveled to Minneapolis for a public-transit conference called RailVolution. The four-day conference cost $1,660 per attendee, including $225 per-night hotel rooms. Because the conference was not one of the city council's pre-authorized trips, the decision to send the council members came through a discussion with the rest of the council. "Council members LaMalfa and Mendenhall have expressed interest in going," minutes from the meeting state. Council members aren't required to issue a full report after attending conferences. None was given about this year's RailVolution conference. As their relationship progressed, Mendenhall says, she and LaMalfa sought legal advice. "Before we took any steps to further this, we brought it before the city attorney to consult on possible legal or ethical issues related to the matter, and we have been advised that there are none," her statement says. Soren Simonsen, who represented District 7 on the Salt Lake City Council from 2006 to 2013, says that he is friends with both Mendenhall and LaMalfa and has complete confidence in their leadership. While he could not speak to the specifics of their relationship, he did, however, say it wouldn't need to be disclosed to the public, since there are many kinds of relationships among council members that could impact their votes that are not aired publicly. "I think any kind of relationship has the potential to influence anything we do, whether it's a relationship with a [campaign] donor, a relationship with a family member," Simonsen says. "The [city's] conflict-of-interest policy is clear that the conflicts of the greatest concern are those that have a personal financial angle. I don't think this is of any more concern than if there are two council members that are drinking buddies or golfing buddies that talk to each other every day." But for former councilman J.T. Martin, who represented District 6 until 2011, the element of romance changes the equation when it comes to relationships. "Romantic relationships are intense and emotional," Martin says via e-mail. "Romantic relationships make people react and think differently than they do in non-romantic relationships." Martin says that council members should have good working relationships but at an "arm's length" distance that won't compromise council members' independent decision-making. While Martin is sympathetic to LaMalfa and Mendenhall and the effect this news has had on them and their families, he also says that elected officials should expect that details of their private lives will be made public—especially a relationship like this. "Like it or not, that's the way it is," Martin says. And now that it's out in the open, he says, the council should address concerns head-on. "I believe there needs to be a public council discussion on the concerns some have, and to have a candid discussion to try and pave a positive path forward," Martin says. Martin says that even if the relationship doesn't lead to actual conflicts that affect leadership elections or council business, it has created a perceived conflict that could hurt the work of both LaMalfa and Mendenhall. "I wish them both the best. I believe they are good people and earnest council members, but their relationship will make it difficult to be as effective as their constituents deserve," Martin says. "A cloud will follow both of them the remainder of their tenure in the council. It is not right or fair, but it is a fact." Three-term city councilman Van Turner, who was bested by LaMalfa in 2011, says that knowing about a romantic relationship between a pair of council colleagues could help prevent accusations of corruption down the road. Alliances are often formed between council members who think alike, he says, and an affair would constitute yet another instance where a close relationship could end up impacting council business. Turner, who still operates his flower shop on California Avenue, says the job of a council member boils down to saying "yes and no." But how one reaches those answers is the hard part. "Now, how did I get to that yes or no and did I do it legitimately?" Turner says. "Somehow, you've got to get there, walk out of that meeting and feel good about what you did." As far as city statutes are concerned, there are no requirements that elected officials, or anyone else who works for the city, disclose when they are engaged in relationships with co-workers. Matthew Burbank, an associate professor of political science at the University of Utah, says the lack of official statutes in Salt Lake City—and Utah state government, for that matter—isn't surprising for a state that often chooses the latter when faced with regulating versus not regulating. But Burbank says there is little doubt that a relationship between a pair of city council members should be disclosed to anyone engaging politically with the duo. "Anybody who dealt with the council politically would want to know that information," he says. The absence of a city policy regarding relationships between employees veers far from the city of San Francisco, where an affair in July between an elected county supervisor and a city employee sparked talk of reform. Corey Cook, an associate professor of political science at the University of San Francisco, says a relationship between two council members might not pose a problem so long as they're not accused of trading votes or other corruption. Absent that, two elected officials could continue a relationship without any concerns—especially if that relationship is made public, Cook says. What becomes problematic, he says, is when elected officials try to "cover things up." "If legislators come out and say, 'It's true, this is what I did,' typically voters don't care about legislators' private lives," he says. Susan Gard, chief of policy for the human-resources department with the city and county of San Francisco, says supervisors must report any romantic relationships they have with subordinates. Following disclosure, the subordinate answers to a different boss. Gard says this protects the city from liability when claims of sexual harassment are made. But when the affair was between a city employee and an elected official—in this case Supervisor John Avalos—who doesn't have a boss to report to, Gard says, it quickly became evident that a gap existed in the city's plan. To close this gap, Gard says, her department is proposing that elected officials disclose their affairs to the clerk of the board. In the case of an affair between a pair of elected officials, the two are on equal footing, Gard says, so they would not be forced to disclose the relationship. Even so, Gard says, city policies encouraging employees to avoid the appearance of favoritism and nepotism might apply. "When you are elected to public office, you are serving the public's trust," she says. "And if you don't have the public's trust, you're not going to effectively be able to do your job." Eric S. Peterson contributed to this story.